Innerspring mattresses come in many styles and price ranges. 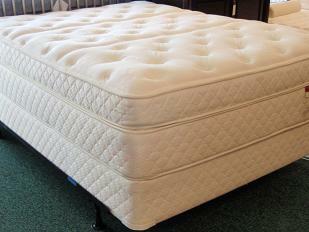 From the standard innerspring mattress to the 872 individual pocketed coil mattresses. We can deliver just what you are looking for. We carry the Restonic line which is the seven-time winner of the “Consumer Best Buy Award”. Restonic’s Manufacturing plant is located in Newberg, OR and we proudly support this “Made in Oregon” product.